The 30th of August marks the 65th Anniversary of the first test flight of the Avro Vulcan prototype VX770. Much has changed over those 65 years however the Vulcan is still reverred by the Brits. As a nuclear deterant the aircraft type served the UK well. The type was also used for maratime reconnaissance, as refuelers, nuclear fallout air samplers and conventional bombers. The Falklands war being the only combat mission where Vulcans delivered payload and the story of the Black Buck raids is an impressive piece of aerial logistics well worth reading about. In recent years if you wanted to see a flying version, the sole remaining example was XH558. 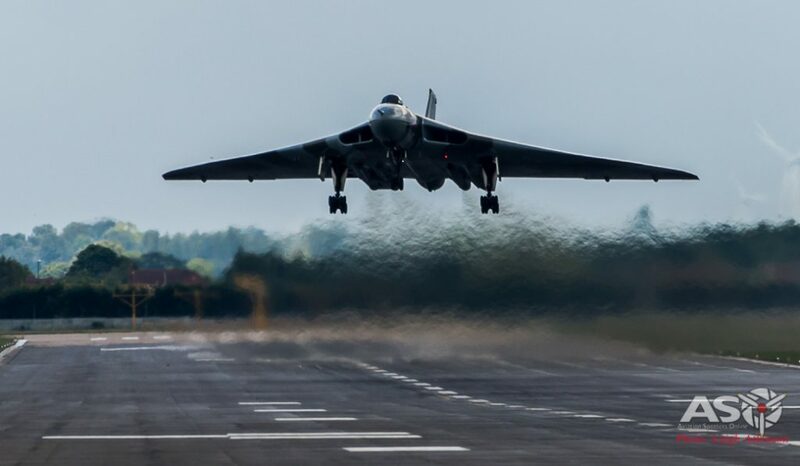 After many years of having her wings clipped XH558 returned to the skies for a tour of duty as the Spirit Of Great Britain. Thanks to substantial public support this magnificent old jet spent 8 years touring the country showing off what British enginuity could do. I was honoured to be able to see some of the last flights of XH558 in July and September of 2015. Whilst I was in the UK I also got a glimpse behind the scenes of what it takes to keep a 60 year old Jet bomber in the air. 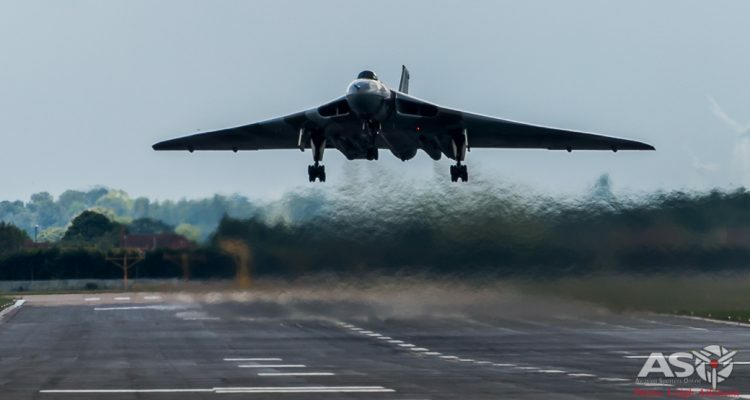 The Vulcan departs RAF Cosford in a fairly aggressive climb before a wingover and departure. This was my first every site of the Vulcan. The Certificate of registration on the wall at the head office of the Vulcan to the Sky Trust in Hinckley. Happy 65th Birthday to the type!